Fabulous contemporary country property, you will enjoy relaxing in the peace of the private garden setting. 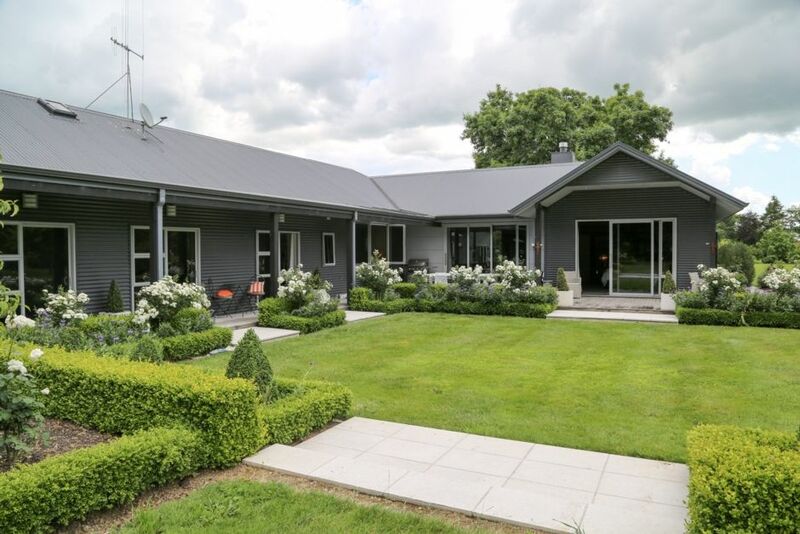 Set on 6 acres of land in a great central location to enjoy all the sights and activities the Waikato has to offer. Guests will be warmly welcomed and provided with information about their stay in the area. As hosts we prefer to leave our guests in peace to enjoy their stay, but we contactable and available if required. Enjoy Tamahere Markets on the 3rd Sat of the month, or wander down to Country Providor and award winning cafe Punnet located just a 15 min walk away. World renowned Hamilton Gardens and Hamilton Airport just a 5 min drive. Auckland International airport is a 90 min drive. Central location for Hamilton, Narrows Landing, Mystery Creek, Avanti Cycle Drome, Lake Karapiro, Cambridge, Hobbiton, Te Awa cycle trails and east and west coast surf beaches. Also within 2 mins of Riverside golf club, which includes 2 great 18 hole championship courses. This is a semi rural property, we have great neighbors while close will afford you complete privacy. There may be stock grazing in the paddocks. Maximum of 2 rubbish bags. There are electric fences to contain the stock in the paddocks, while you are welcome to go up to the fences, please for your safety, don't go into the paddocks. $600 refundable Security Bond Required on booking. Lovely property, Very relaxing, great for family gathering. Really enjoyed our stay, special occasion for our daughters wedding with our family staying at Pencarrow House. Couldn't have been more ideal with the wedding at Narrows landing. Great big garage, 2 family area's, plenty of bedrooms & bath rooms. Thank you John & Robyn for letting us use your home. Amazing home in a great quiet location. This is the place to stay if you would like to see Hamilton/ Waikato region in a new light , like never before. The Stay at John's Place has totally transformed our impression of Hamilton. The idyllic tranquil setting took us into a surreal realm. The home is well equipped for the group of us with a 3 year old and couple of grandparents. We were able to find our own favourite spaces. The home is immaculate and well maintained. Garden manicured. Horses and Cattles over the fence. Bravo ! This has got to be one of the most spectacular houses I’ve stayed in. This has got to be one of the most spectacular houses I’ve stayed in. The interior is perfectly designed for big groups (8 people) with lots of living space. The beds are super comfy and the gardens were spectacular. I would absolutely stay here again. The hosts were helpful and left clear instructions with essential infomation. Very close to Hamilton City so easy to get back and fourth. I wouldn’t bother staying in the Hamilton city area when you can stay in this fantastic spot!